G|M Business Interiors furnishes Sharp Healthcare's new 118,000 square foot, 9 acres Copley Drive location. When Sharp Healthcare looked to expand they opened up their 118,000 square foot, 9 acres Copley location. G|M Business Interiors addressed all of Sharp's office needs by installing 556 workstations, 17 conference rooms, and 10 training rooms that all have ergonomic features; such as seating and height adjustable desks. 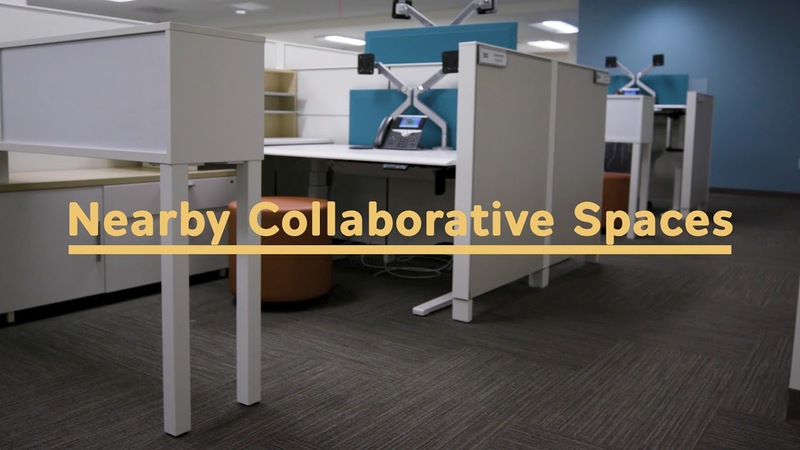 By taking advantage of the space of the Copley location, G|M Business Interiors created collaborative spaces, shared storage areas, and an open dining hall. Contact us to begin planning your new workplace today!